The Cruze has been a runaway success for Chevy. In fact the company has sold over 3.5 million of them since its introduction in 2008. And now the company is preparing to roll out the all-new second-generation model, previewed in the teaser image above. Set to be unveiled on June 24, the 2016 Cruze promises to be larger, yet lighter, that the model it replaces. It will pack new engines, safety features, and technologies – including the integration of Android Auto and Apple CarPlay. The new Cruze will be based on the same platform that underpins the new Volt and (among others) the new Opel Astra just introduced in Europe. It'll be a vital model for Chevy, which sells the Cruze in 115 countries around the world – chief among them China, Brazil, Canada, and these United States, where sales continue to rise despite the model's age and impending replacement. Look for the second-gen Cruze to hit dealers early next year, joining a revitalized Chevy lineup alongside such notables as the new Spark, Malibu, and Camaro. 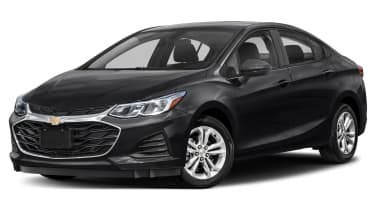 DETROIT – Chevrolet Cruze, the brand's best-selling car around the world, has surpassed 3.5 million global sales, a milestone that comes as Chevrolet prepares to introduce the next-generation Cruze on June 24. "When we introduced the Cruze it replaced 15 other compact vehicles around the globe," said Alan Batey, president, General Motors North America and global Chevrolet brand chief. "By consolidating design, engineering and marketing efforts, we were able to produce an award-winning, value-driven sedan that won over customers around the world." Cruze is sold in 115 countries. The top global markets include China, the United States, Brazil and Canada. In the United States, Cruze total sales were 273,060 in 2014 – a 10 percent increase over 2013. It is also the segment's second-best seller to customers under 25 in the U.S. Importantly, Cruze brings new buyers to Chevrolet – 35 percent of all buyers are new to the brand. Additionally, of those who trade in a Cruze, 56 percent stay with Chevrolet and 23 percent trade in for another Cruze. "In every corner of the globe, Cruze has been successful at introducing new and younger customers to Chevrolet," said Batey. "Compact car customers are looking for style, safety and connectivity at an affordable price and the Cruze delivers on all fronts." The 2016 Cruze will build on the current model's success, aiming to elevate the segment with more of the features increasingly important for today's compact car buyers. It will be larger yet lighter than the current model, with new technologies, new powertrains and additional available safety features that will bring a higher level of sophistication to the compact car segment. The 2016 Cruze joins the all-new Chevrolet Volt, Spark, Malibu and Camaro, all unveiled earlier this year. These five new vehicles will bring 25 new technologies to the brand, most to improve safety, fuel economy, performance and connectivity for the customer. The 2016 Cruze will be one of the first Chevrolets to offer Android Auto and Apple CarPlay. When the next-generation Cruze hits showrooms in early 2016, more than 95 percent of Chevrolet's U.S. product lineup will be less than three years old.